Bitte kündigt euch per E-Mail an. Telefonisch sind wir unter 0152 056 07628 zu erreichen. Need to meet us ? Send us an email (see bottom of page) or contact us via our facebook or instagram ! International trainees coming to Germany are taken care of by the local committes. We are looking for accomodation, organize trips and arrange all kinds of spare time activities. Activities can vary from a barbecue in the Park to a kayak weekend, from a trip to a german metropol to an international cooking evening. Another important element in our summer program is organizing and taking part in international trainee weekends with participants from all over the world. You have had enough of the boring theory of studies and need a little change? Within our Local Committee you can untertake diverse tasks, according to your preferences: organize trips and apartments, plan projects and carry them out, advise other students and arrange internhips. You are at the source to a good internship abroad and plenty of fun on international meetings worldwide — practical international experience with a high fun factor in more than 80 countries worldwide! 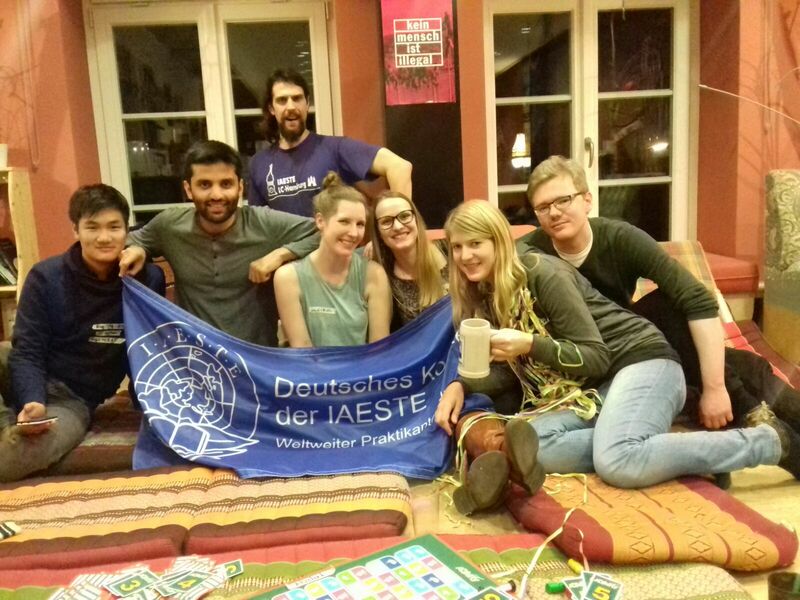 IAESTE — a worldwide network. With IAESTE you will communicate with students from all over the world. To exchange experiences, to organize mutual projects or to take care of long-term friendships. All companies require them, many students however do not know how to get them. With us you will invest in your future — through the responsible handling of your tasks in the Local Committee it is possible to acquire it: representing ideas to others, to discuss, to negotiate with company representatives and much more! Many heads have many good ideas. Worrking in a team means to decide together, which way is the best one… Team work is extremely important, for us as well as for your professional life. Practise your ability to work in a team with us. You feel that your foreign language skills have decreased since school? Or you speak an exotic language? With IAESTE you will have contact to trainees from all over the world: Japan, Brazil, England, Finland… nearly everyone speaks English. An ideal opportunity to use a foreign language regularly and to improve your own skills. You will learn quickly new words at first hand or teach the trainees to get along in German. Responsibility means a lot to us. We accept assignments that require a higher sense of responsibility — the appreciation and content that our trainees reflect to us is our revenue.